SKU: ST714. 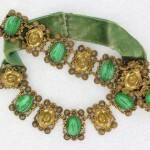 Category: Austria, European Jewelry, Sets. 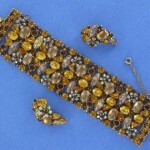 Spectacular three piece parure. Possibly Austrian. It’s extremely well made and gorgeous! 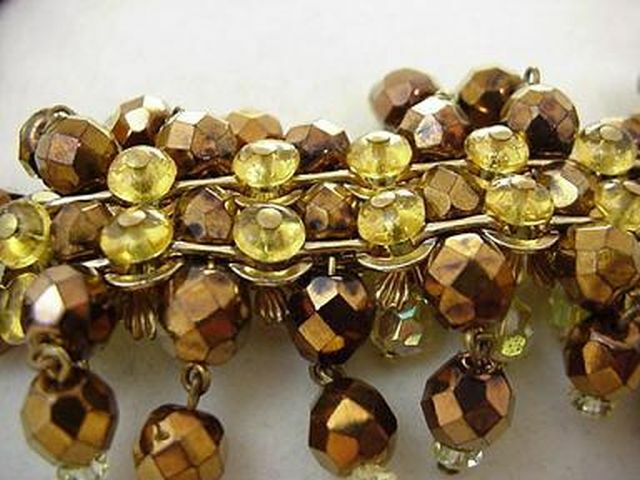 Gold tone setting with bronze colored faceted crystals, Aurora Borealis crystals and citrine colored glass beads. 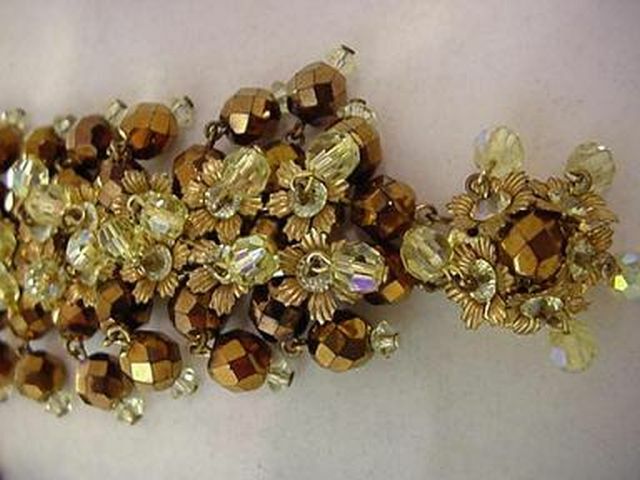 Collar necklace is a garland of golden flowers surrounded by bronze crystals. 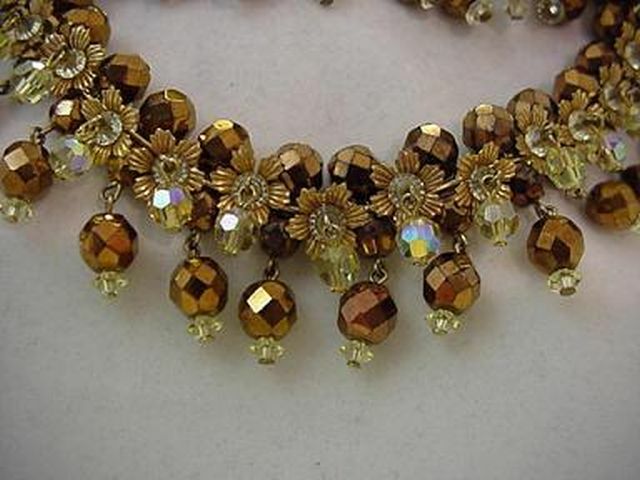 Each flower has a small Aurora crystal in the center with a larger Aurora crystal dripping from the center. 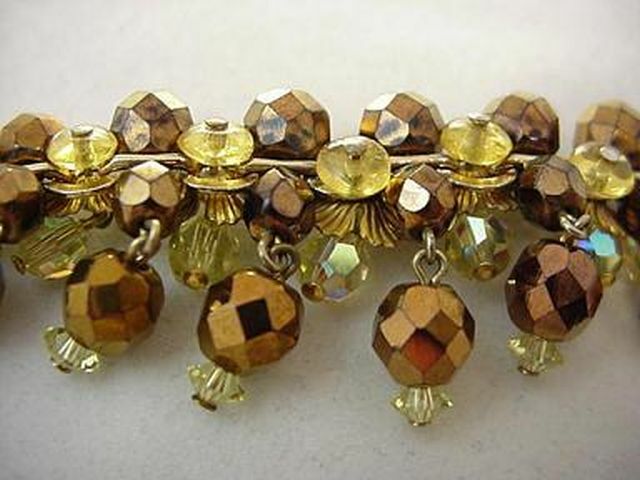 The flowers are backed with flat citrine glass beads. 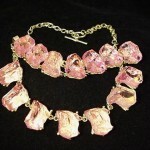 Necklace measures 16″ long and 1.75″ wide. 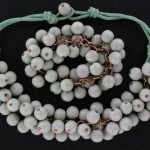 Matching bracelet is 7″ long by 2″ wide. 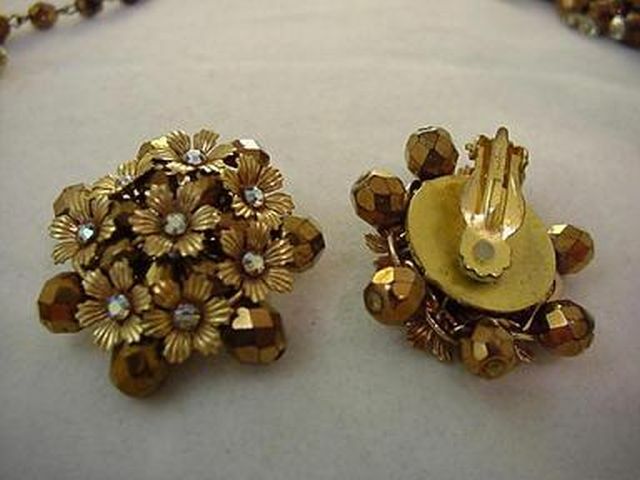 Clip on earrings are 1.5″ in diameter. 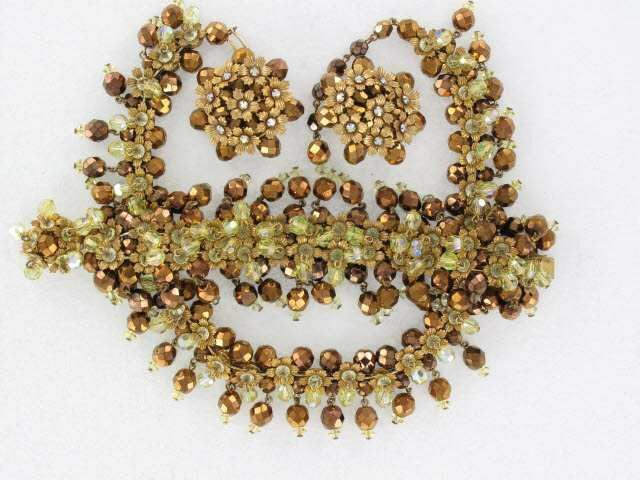 Only earrings are marked with “Pat.Pend”. Excellent condition.